Budget Direct lowkey gave us a watchlist by making these awesome posters. A good TV show is made up of A-list casts, a visionary director who knows what he's doing, and an authentically fresh storyline. However, we sometimes overlook the best pieces in them, from the littlest to even the biggest details, such as cars. Thankfully, Australian insurance website Budget Direct took time to pay tribute to the underrated stars of cult TV shows. 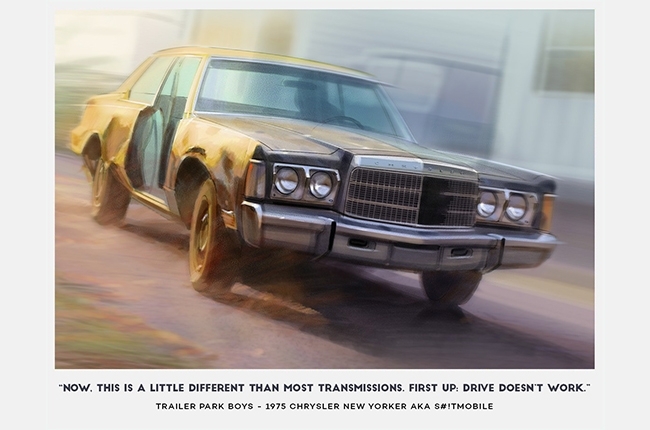 They've made artsy posters featuring the most iconic cars from popular shows and oddly enough, we favor them better than the actual promotional posters. Thanks, Budget Direct. This makes Elon Musk's rocket thruster-equipped Tesla Roadster look cute. 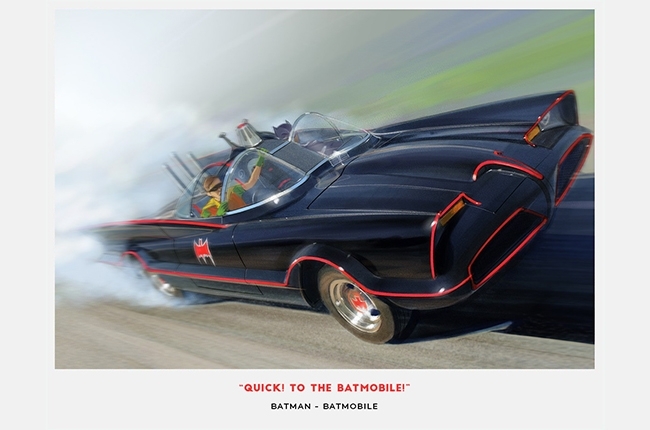 The cult classic, bat-emblemed Lincoln Futura was the first Batmobile to feature a rear rocket thruster. It was Batman's toy in the 1966 to 1968 TV show that our fathers have loved. What they didn't know, though, was that the car of a multi-billionaire superhero had problems with overheating during the time it was being shot. 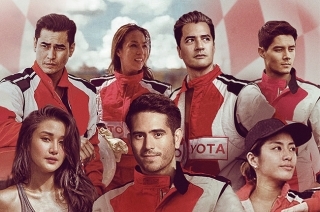 The crew then had to replace its engine and transmission in the middle of the series. Nope, this is not the A-Team movie from 2010, fellow millennials. This title here is an OG (original gangsta') and it was not a movie but a TV show. 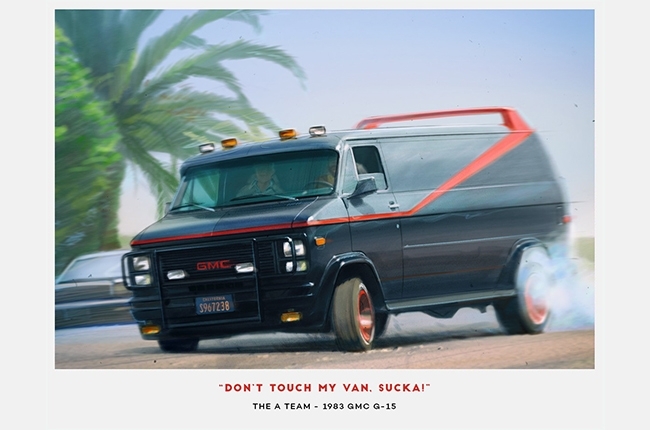 Though the 2010 reincarnation of the '80s show used the same GMC Vandura, A-Team fans cried out "imposter!" upon seeing it. Seems like nothing beats the original, don't you think? What makes it look so badass is the gunmetal gray paint, red stripe, bull bars, and red wheel rims. If you're a fan of this series, you probably would recognize this one right away. 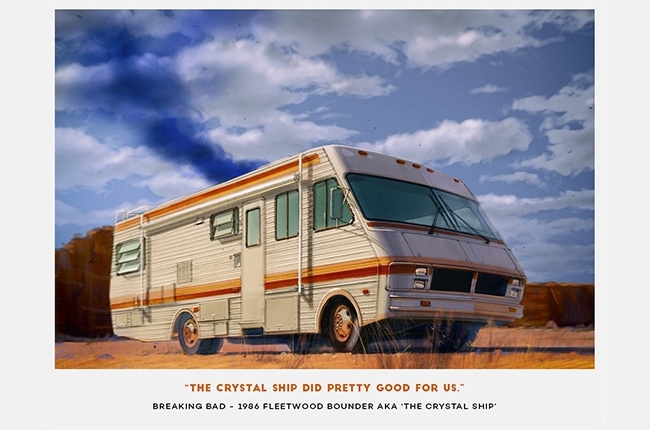 It's the distinctive 1986 Fleetwood Bounder RV camper van that Walter and Jesse used as a mobile meth lab. Crystal Ship, as the duo calls it, has only seen two and a half episodes of the show. It was destroyed by Walter himself to completely erase potential evidence and keep it out of the Drug Enforcement Agency's (DEA) hands. The unfortunate single mom Joyce Byers had a really great character build up in the series. The character, played by Winona Ryder, is one of the crucial characters that her car made it on the list. 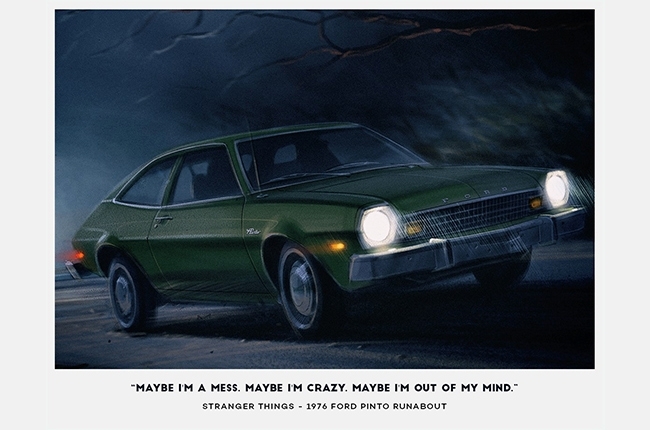 Though it is a bit stereotypical for a stressed single parent in the '80s America, Byers drives a metallic green 1976 Ford Pinto Runabout, which reputation isn't that good – it was rumored to have an exploding gas tank according to Budget Direct. 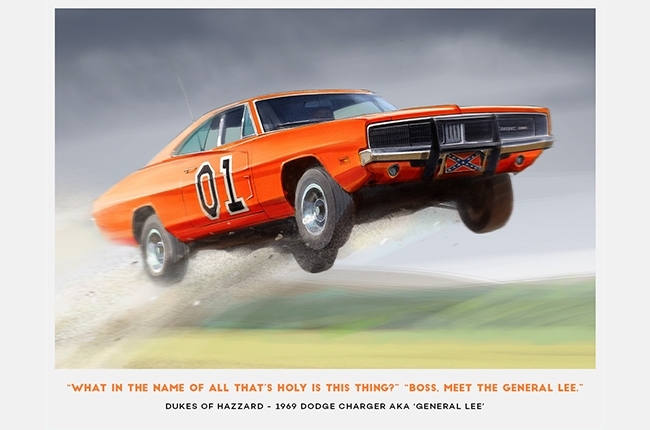 It's one of the most recognizable Dodge Charger in history—of course, aside from Dominic Toretto's and the skull-decaled Death Proof 1970 Charger—the iconic General Lee from the Dukes of Hazzard series. 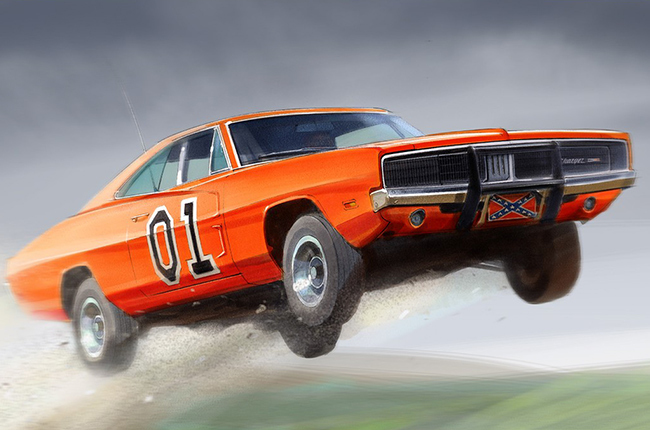 Who would've forgotten the bright orange 1969 Charger with "01" marking on the doors? But, you wouldn't believe this, over 300 Chargers were used throughout the entire show. Basically, because every stunt they do needs replacements, as they keep on destroying it over and over. There are now around 20 surviving General Lees and are highly-priced at auctions. Let's give David Hasselhoff a throwback here. 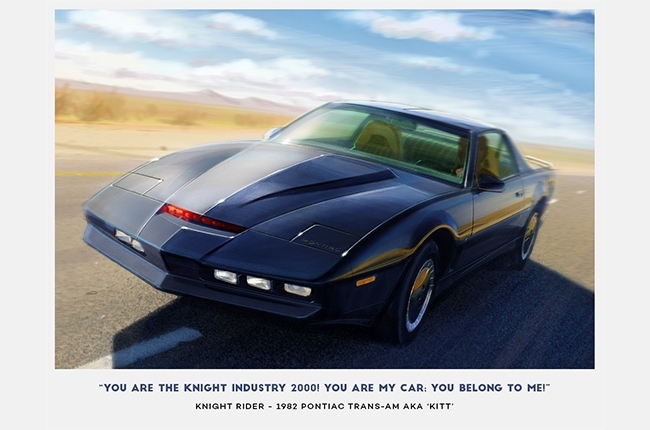 The Knight Industries Two Thousand (KITT), the futuristic Pontiac Trans Am, is already the thing even before Marty McFly's time-travelling DeLorean DMC – though from different realms (TV show and full-length film). Now, 1982 may not be the time where car manufacturers are busy making their vehicles autonomous but KITT can already drive all by itself through the 'alpha circuit.' 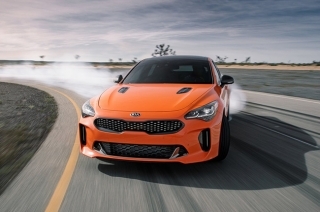 Plus, it can withstand over 400 degrees Celsius and reach 97 km/h in just two seconds – sounds like year 2018 for most parts, right? If you're into dark comedy, this show's for you. 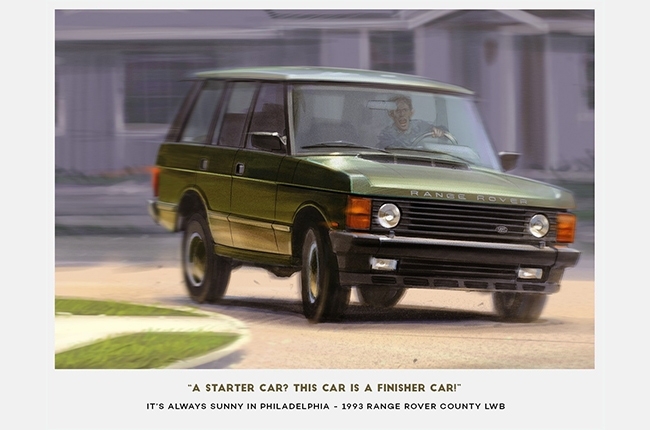 For those who've watched it already, you probably are familiar with Dennis Reynolds' Range Rover County LWB. Ring a bell? The most cursed car due to the number of misfortunes it has been into, until Reynolds drove it into the lake in frustration for missing a boat party. They did a great poster representation on this one, you can really see Reynolds in anger – typical. This is the oldest and classiest vehicle that made it to Budget Direct's list. Of course, it's show inspired by the life of a queen, Queen Elizabeth II of United Kingdom. It's a very informative show that would catch your attention if you value history. 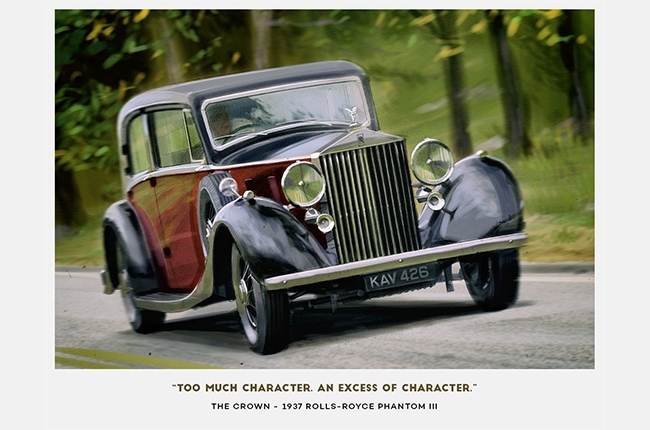 Talking about history, this 1937 Phantom III has tons of it – and there's a queen to justify. 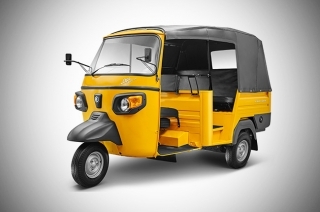 This is not a road-legal vehicle but so what? If you once owned a private jet, would you still care? 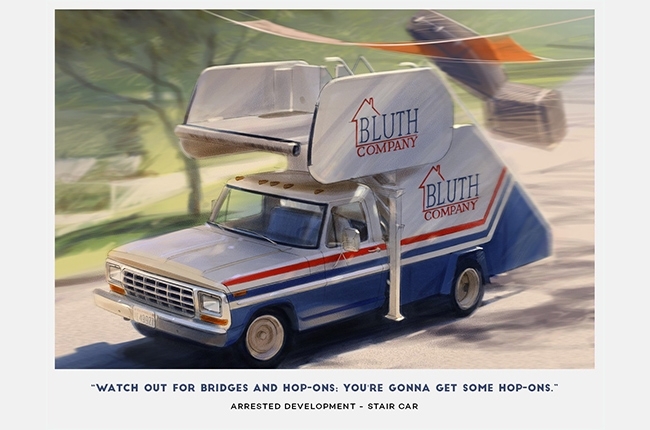 The mounted stair on the rear for jumping into the jet is its fun-factor, causing the Bluths their hilarious problems. Besides, losing that million-dollar plane would just pile up to the 'stair truck, don't care' attitude. Go, knock some banners down! A great getaway car, as per the Trailer Park Boys' choice, is a beaten-up, doorless 1975 Chrysler New Yorker. The tiny Canadian amateur criminal brotherhood got confident with a New Yorker for escaping troubles and failed crime plots. Unfortunately, some, even all, of them end up in a jail every end of the season. Oh, and one more thing, this retro Chrysler made Ricky, Julian, and Bubbles look like the realest hipsters there is.